Lobster poppers, fish fingers, popcorn shrimp—if it's found in the ocean, you'll find it fried on La Camaronera's menu. This neighborhood fish shack evolved from a counter service eatery (might we add one without chairs) into a full-blown restaurant that's been featured on Food Network and frequented by foodies near and far. 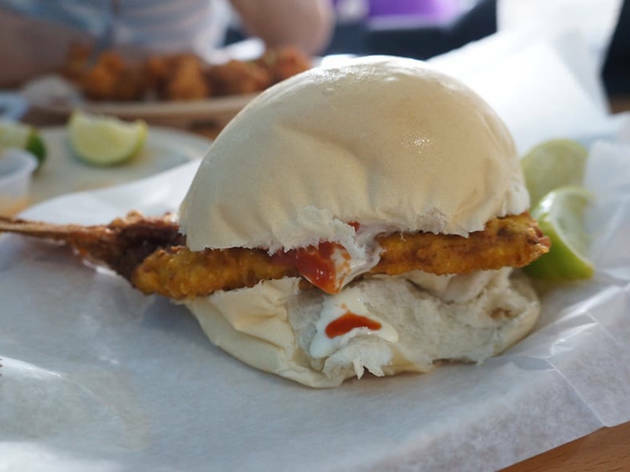 A pan con minuta is what most everyone lines up for: a fried snapper sandwich on a lightly toasted Cuban roll (tail and all!) that clocks in at under $10 and keeps you satiated for hours. You might leave the place smelling like you spent the afternoon on a barge, but it's a small price to pay for some of the freshest seafood in town.